Nov. 8, 2017 7:55 a.m.
Two of the biggest rewards programs in Canada are set to combine in February. 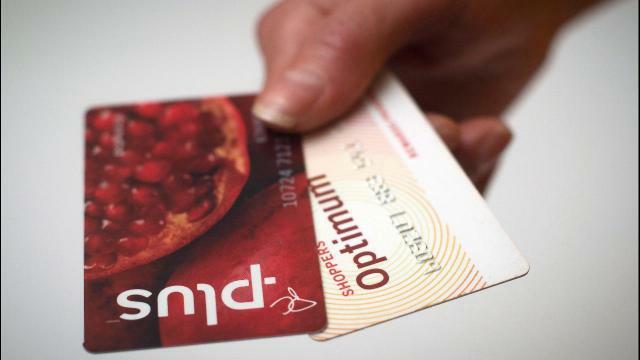 Loblaws announced on Wednesday that it will be combining its PC Plus program, available at all Loblaws stores, with Shoppers Optimum Points to create a new PC Optimum program. Loblaws purchased Shoppers Drug Mart for $12.4 billion in 2014 and the past couple of years have seen Presidents Choice products sold at Shoppers Drug Mart stores. Shoppers Optimum Points will convert with a one-to-one ratio and will allow consumers to earn points at Real Canadian Superstore, Atlantic Superstore, City Market, No Frills, Independent, Zehrs, Loblaws, Shoppers Drug Mart, Shoppers Home Health Care and online at Loblaw-owned Click & Collect websites, joefresh.com and beautyBoutique.ca. The PC Points redemption threshold will be lowered to 10,000 points, or $10 dollars, from 20,000 points and consumers will collect 15 points instead of 10 for every dollar spent at a Shoppers Drug Mart.